Carousel Academy, an Early Childhood Campus (formerly Aunt Pat's School House) offers Daycare and Preschool for children from 6 weeks to 5 years old. At our Amherst center, we know the importance of allowing each child to develop at his/her own pace. We focus on the development of the "whole child"; and our nurturing, educated staff provides daily activities to help your child grow socially, emotionally, physically, and cognitively. 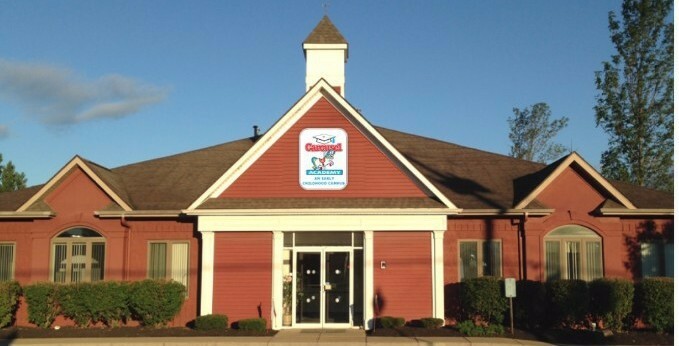 With Carousel Academy's quality resources, state-of-the-art facility, secure environment, and loving staff, we are dedicated to making our Amherst location feel like your child's "home away from home". Please click on one of the links to find out more about our Daycare and/or Preschool Programs or contact us to take a tour of our facility.